Roman Catholicism may have been around for over 1,600 years now, but it is one of the most deceptive ongoing religious cults on the planet. Not only are they not Christian, but they lead people away from true Biblical Christianity, and frankly, straight into hell. 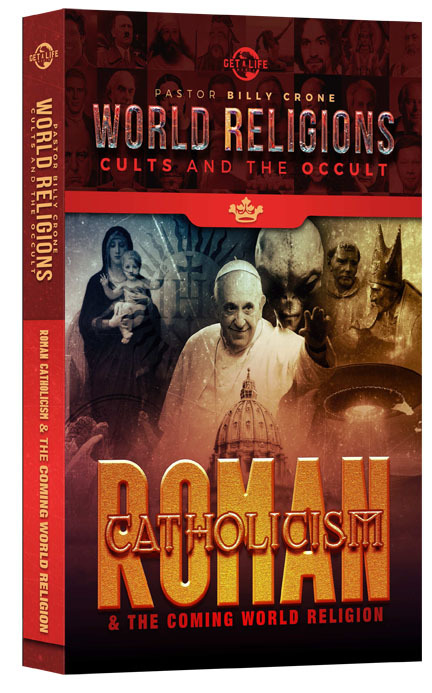 Therefore, this book, Roman Catholicism & the Coming One World Religion, gives you the reader an in-depth understanding into the history, background, and false teachings of Roman Catholicism and their dastardly plans to create a global religion across the planet. Here you will uncover many powerful insights into such mind-blowing questions as: Is Catholicism Really Christian? Do Catholics Follow Doctrines of Demons? Is Catholicism a Cult? Do Catholics Follow False Doctrine? Is Catholicism Demonic? Do Catholics Teach a False Salvation? Is Catholicism the Great Harlot? Do Catholics Worship Mary? Can Catholicism & Christianity Coexist? Do Catholics Worship Saints? Will Catholicism Persecute True Christians? Do Catholics Need to be Witnessed To?